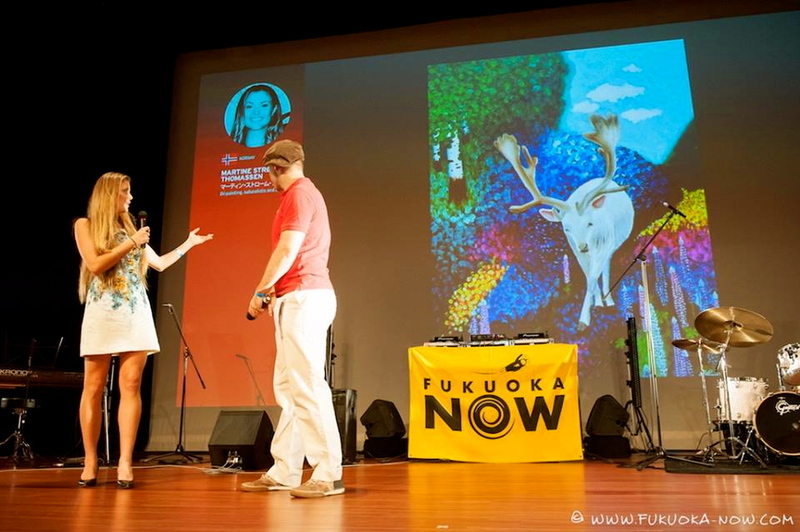 Last weekend I was displaying some of my art at the Fukuoka Now Community Event after being selected together with only 5 other Fukuoka based international artists. It was an amazing night with almost 500 guests. My art attracted a lot of attention and I received overwhelmingly great feedback on it. The artists were taken up on stage where our art was presented more in detail to the guests. There was a good mix between Japanese and international guests at the Creative Community Event.